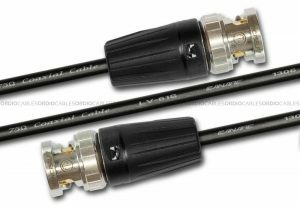 Ordio Cables custom made Canare L-4.5CHWS BNC HD-SDI Video Cable features Canare cable and Neutrik BNC rear twist connectors. 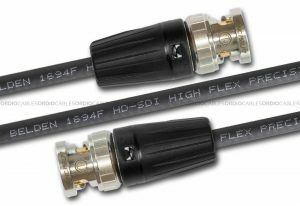 Our highest quality custom made Canare L-4.5CHWS BNC HD-SDI Video Cable is made from the very latest in 75Ohm copper cable. Using Canare L-4.5CHWS and Canare NBNC75BTU11X BNC HD connectors. 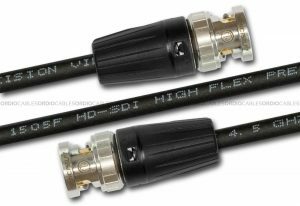 This cable is by far the most superior quality for portable HD-SDI applications. The Canare L-4.5CHWS BNC HD-SDI Video Cable can be used for everyday broadcast video application yet is ideally for much more demanding video signal transfer such as high definition TV, Satellite and mobile broadcast transmissions. Every single custom cable we make is hand crafted right here in Sydney Australia, we proudly use genuine Canare cable and Neutrik connectors. 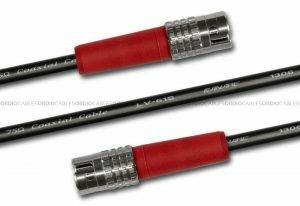 This custom hand crafted Canare L-4.5CHWS BNC HD-SDI Video Cable will be made to order and fully tested before dispatch. If the cable fails due to our workmanship the cable will be will repaired or replaced free of charge.